HURON, S.D. – Registration is now open for South Dakota’s Largest Classroom at the 2018 South Dakota State Fair. The Largest Classroom event will take place on Thursday, Aug. 30, and Friday, Aug. 31, 2018. Participating schools will be able to take part in specialized programming, including visiting the Noah’s Way Exotic Animal Petting Zoo, watching an acrobatic trampoline show and learning from the Zstonish magic show. Visits to a one-room schoolhouse, the Dakotaland Museum and 4-H and open class exhibits are also part of the classroom agenda. The classroom is open to public, private and home schools. Teachers are encouraged to register as soon as possible. The South Dakota’s Largest Classroom program is free to students, teachers and chaperones. Lunch and parking will also be provided. The registration form can be obtained at sdstatefair.com or by calling 605.353.7340. 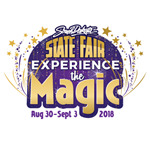 The 2018 South Dakota State Fair will run from Thursday, Aug. 30, through Monday, Sept. 3. Channel Seeds Preview Day will be Wednesday, Aug. 29. 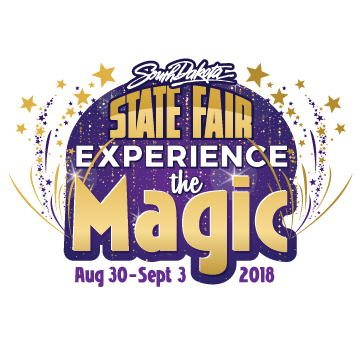 This year’s theme is “Experience the Magic.” For more information on State Fair events, contact the fair office at 800.529.0900, visit sdstatefair.com or find us on Facebook or Twitter. Agriculture is a major contributor to South Dakota’s economy, generating $25.6 billion in annual economic activity and employing over 115,000 South Dakotans. The South Dakota Department of Agriculture's mission is to promote, protect and preserve South Dakota agriculture for today and tomorrow. Visit us online at sdda.sd.gov or find us on Facebook, Instagram and Twitter.